ANNOUNCING BSR-050 HYDROGEN SULFIDE REMOVAL MEDIA! Guild Associates is a diversified, agile and focused business serving commercial and military markets. For commercial customers, Guild Associates is focused on products that utilize gas separation and processing technology. Guild Associates manufactures biogas upgrade and filtering systems used at landfills, waste water treatment plants, and other digester applications, transforming the biogas into a clean usable fuel. Along with these product offerings, is the ability to design and package rotary vane, rotary screw, and reciprocating natural gas compressors needed for feed gas collection, gas purification processing, and product gas delivery for downstream consumption such as; processing plant usage, pipeline injection, and transportation fuel filling (CNG/LNG). Guild Associates is also a UL-Certified Electrical Panel manufacturer for both Ordinary and Class 1, Division 2 Hazardous Locations. For the military, Guild Associates is focused on improving the life of the warfighter. Guild Associates' products protect warfighters from chemical and biological warfare agents, efficiently launder their clothes wherever they are deployed, and enable Mortuary Affairs to respectfully preserve the remains of those who make the ultimate sacrifice. 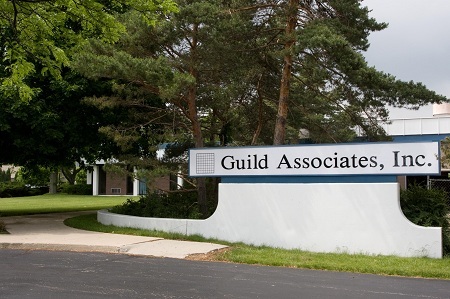 Guild Associates is a world-class expert in diverse areas such as adsorption (both materials and processes), catalysts, and biotechnology sensors. We have a proven history of executing basic research and then delivering products that practically and efficiently utilize that research to solve difficult problems.